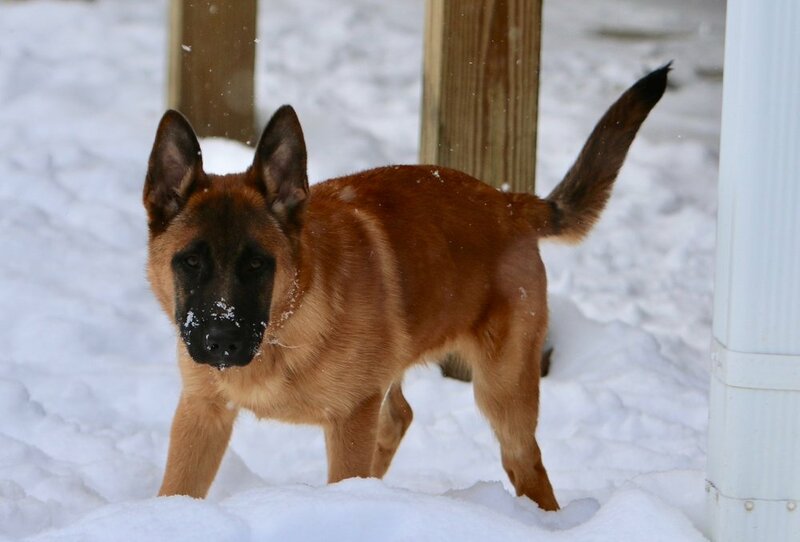 Tango is a male, intact Belgian Malinois/Shepherd mix. Tango is currently in a foster home with two other German Shepherds, and a family of four that will socialize him as he grows up. Tango has high prey drive and our goal for him is to be a level 1 protection dog. Stay tuned for updates as he continues to grow and develop!